Sedagive? 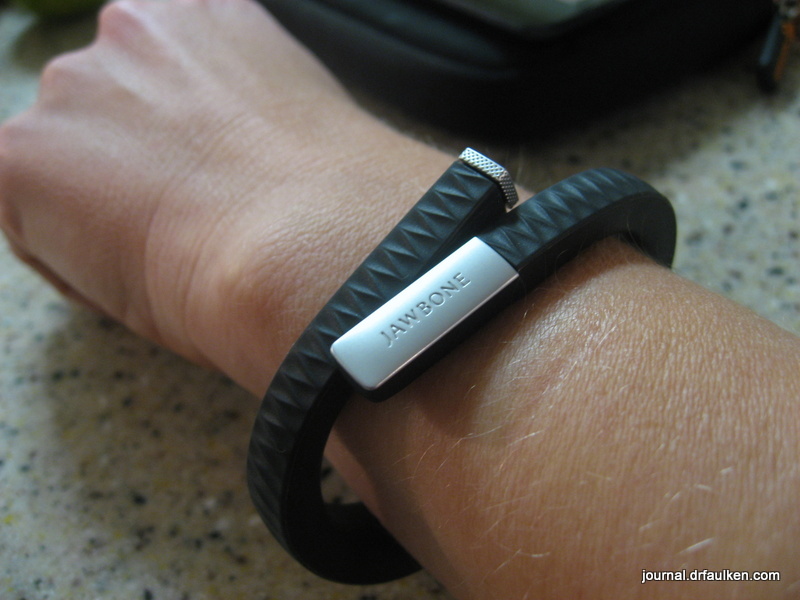 is now on her third Jawbone Up biometric band. The first one died after three months and her second Up lasted just a little over three weeks. We learned the Jawbone customer service dance from last time, and Sedagive? went from initial contact to wearing her replacement within a business week. Her second Up stopped vibrating when entering Night Mode after about two weeks. She tolerated it for another week and then her Up stopped syncing, just like the first time. My band still won’t accurately notify me when I’ve been sedentary for too long, but at this point I am afraid to return it in case the replacement is worse. Speaking of replacements, one of my coworkers also wears an Up. “Have you had any problems with yours?” I asked. Well, looks like we’re ahead of the curve with just two exchanges. 2 Comments on "Jawbone Up Down… Again"
Maybe the next generation will be better. Good to know! I’ve been wanting to try it out but have been wondering how they hold up. Have you tried/ heard about any of the competitor products?